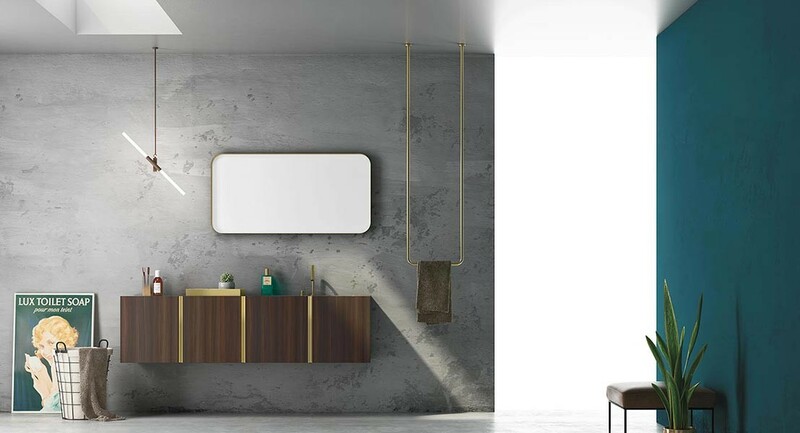 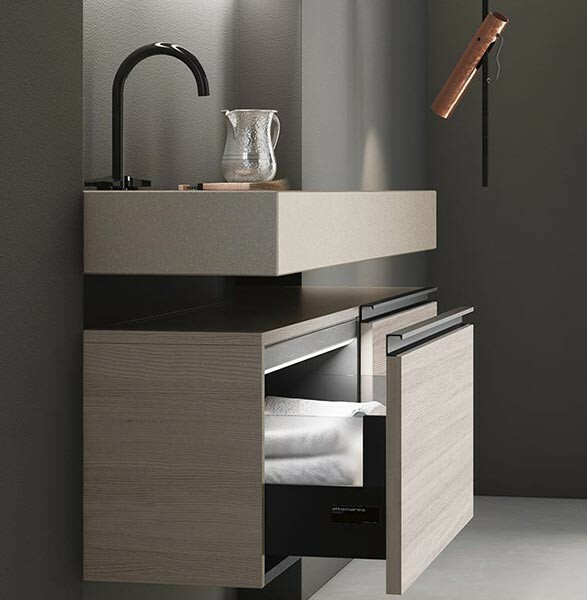 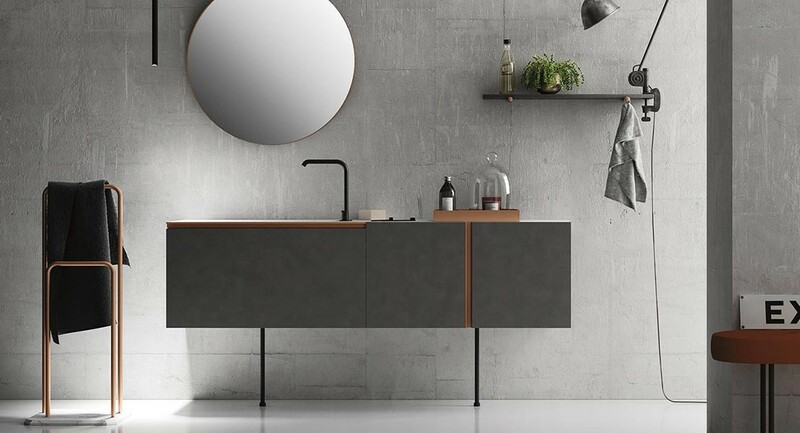 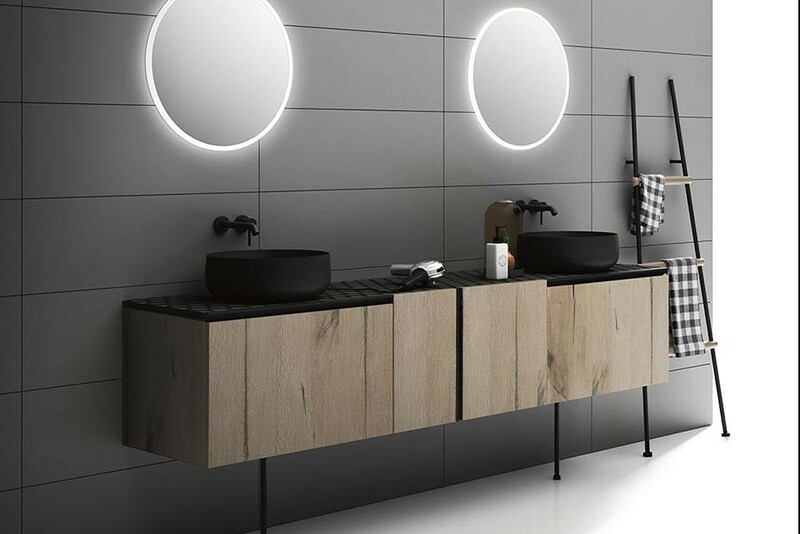 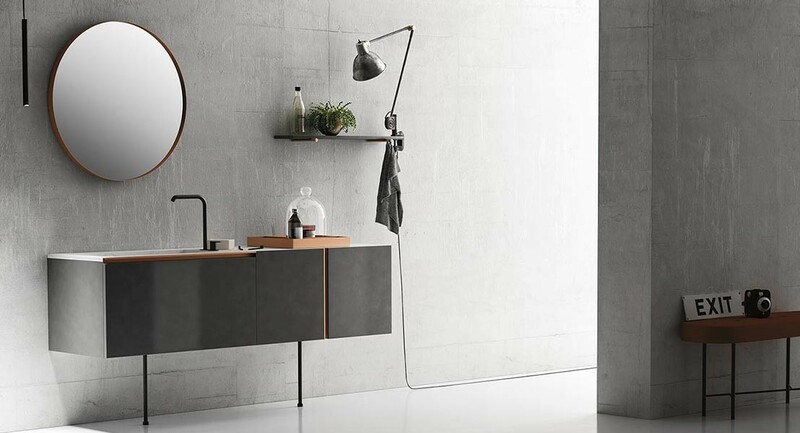 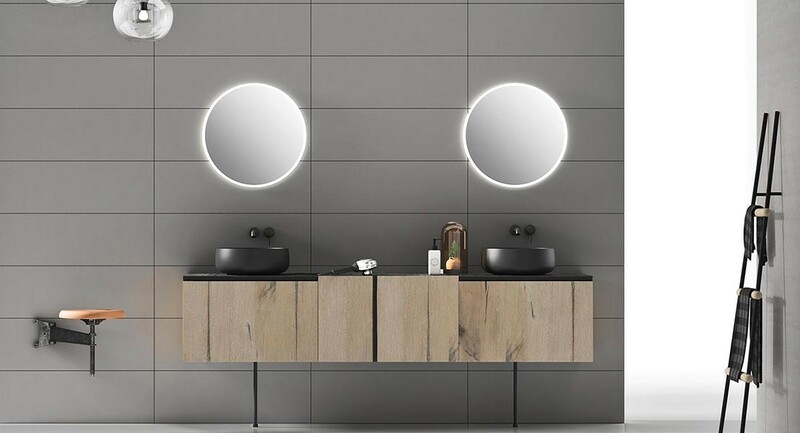 Diva is an extremely refined bathroom furniture collection, inspired by the Scandinavian cabinets of the Fifties and Sixties. 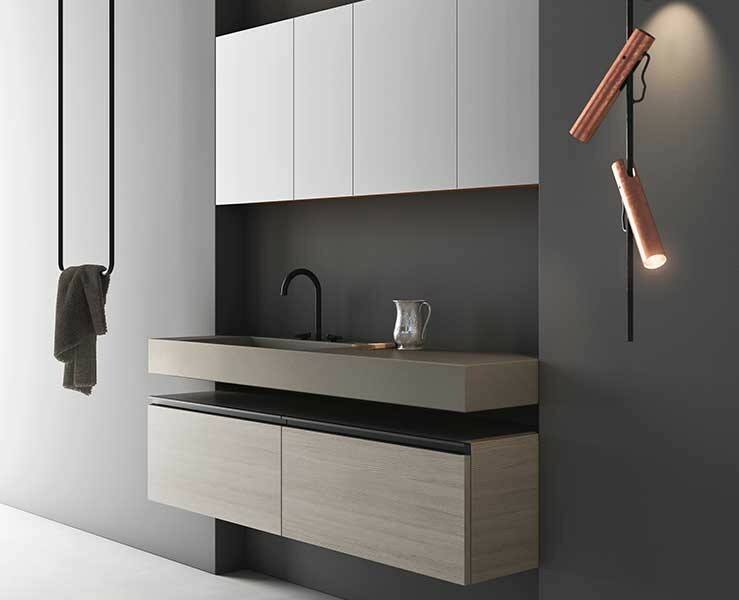 It is characterised by a horizontal handle for drawers and a vertical handle for swing doors, illuminated by the splendour of the brass and copper finishings. 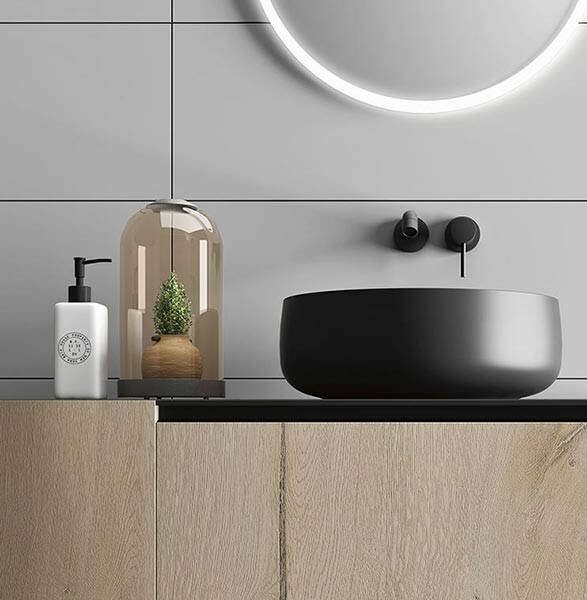 The materials used extend from the wood elements chosen, such as heat treated Eucalyptus or Sanded Oak with Sand lacquer, glossy or oxidised, to technical materials such as Fenix NTM®. 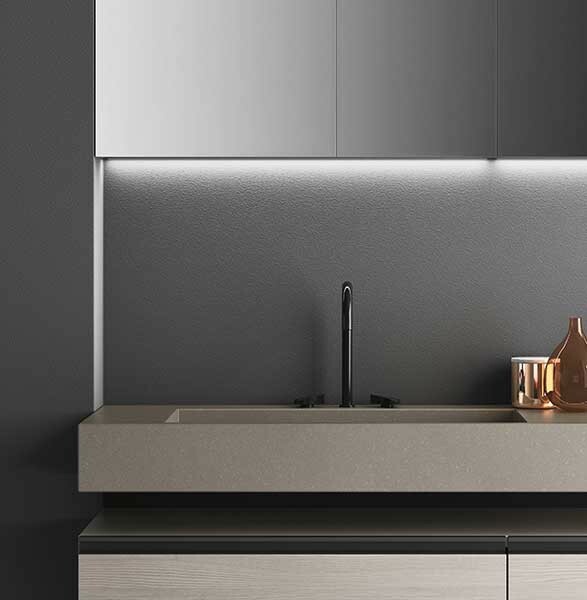 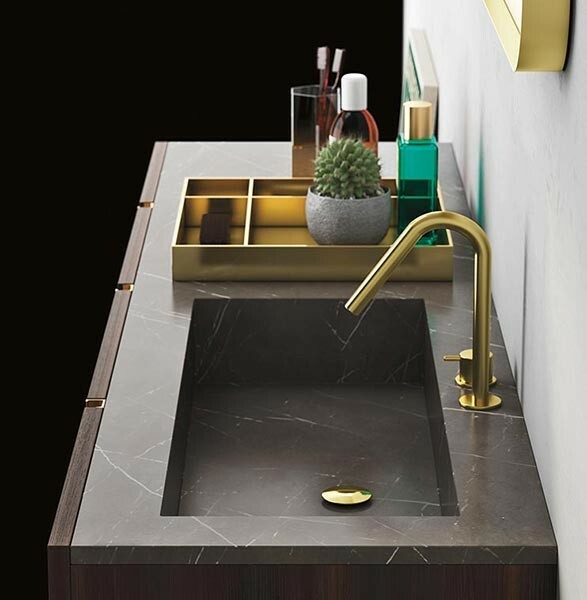 The tops are made from marble, stone, Kerlite®, Koral, Fenix NTM®, Micromalta and metals. 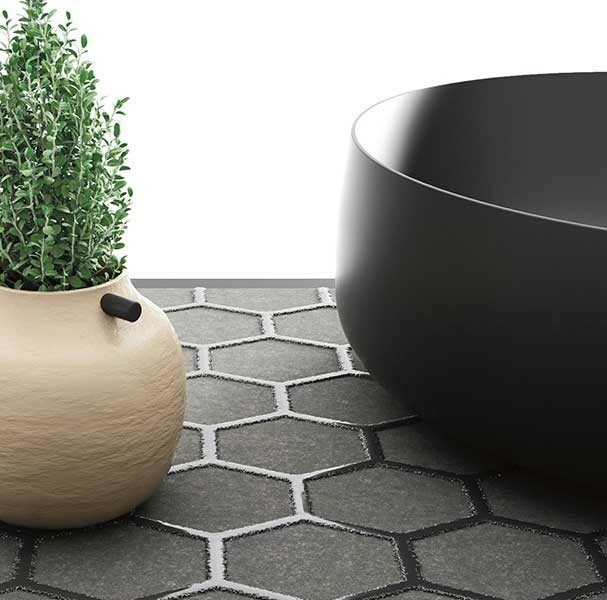 It is also possible to choose an exclusive top made from solidified molten rock, with precious vitrified geometric decorative elements, or make a personalised top with tiles proposed by the customer. 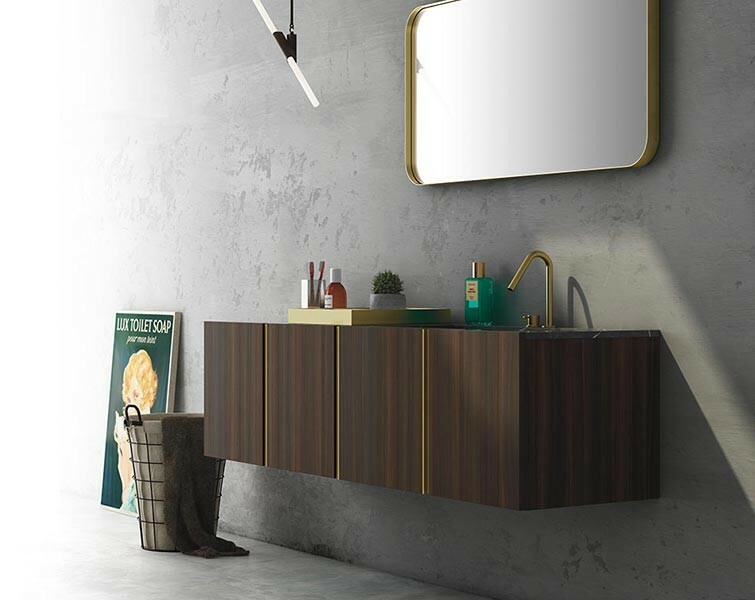 The elegance of the collection is completed by an entire range of exclusive accessories: Diva towel rails, mirrors, lamps and object trays.